Home / ADAPTATION / Average Dudes Take On the U.S. Army in "War Dogs"
Average Dudes Take On the U.S. Army in "War Dogs"
It might have been one of the biggest hustles ever…and it could only happen in America. Warner Bros. Pictures' new comedic drama “War Dogs” grew out of the story of two stoner kids, barely into their 20s, who became multi-millionaires as the most improbable of international arms dealers. But just as they reached what should have been the pinnacle of success, it all came crashing down in spectacular fashion. One of the unifying themes of filmmaker Todd Phillips’ movies is people making bad decisions. Whether it’s a few post-college guys starting their own frat house or four friends planning an ill-fated bachelor party in Vegas, there are always repercussions that are outrageous and completely unexpected. 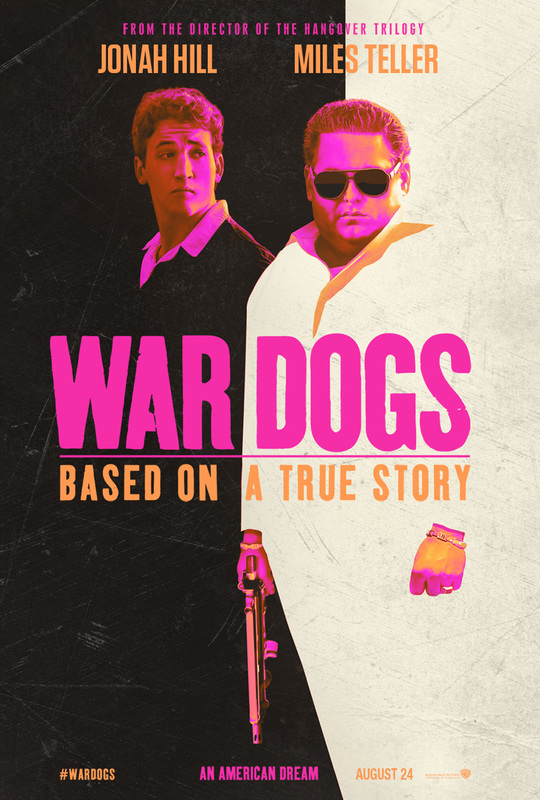 Bad decisions are again at the center of “War Dogs,” but there is an edge to the humor, born of the fact that the film is based on a true story of a couple of guys who managed to turn a little-known government initiative on its ear…to the tune of $300 million dollars. It all started during the George W. Bush administration when huge no-bid contracts to supply the wars in Iraq and Afghanistan were being awarded to conglomerates like Halliburton, Raytheon and Lockheed Martin. As criticism of the perceived cronyism and war-profiteering grew, the government decided to level the playing field with FedBizOpps (short for Federal Business Operations), which opened the bidding on military contracts to…well…virtually anyone. Unfortunately, there were just enough loopholes to make it possible to take advantage of the system.